The Man Who Broke The Bat is set to return to comics in his own series, which features his plans to create a global criminal empire, with his original gang cohorts along for the ride. This series is written by Chuck Dixon and the art is by Graham Nolan, these are the two who (along with Doug Moench) created the Bane character back in 1993, in Batman: Vengeance of Bane. This new series will consist of twelve issues and will be released in May. A press statement from DC Comics states that Bane will, “move beyond Gotham to find new cities to conquer and new enemies to crush. He won’t stop until he stands at the top of the world of crime! For Bane, it’s all about Conquest”. Bane is proving to be a key part of the DC Rebirth and is already starring in the current ‘I Am Bane’ arc of Tom King and David Finch’s Batman series. 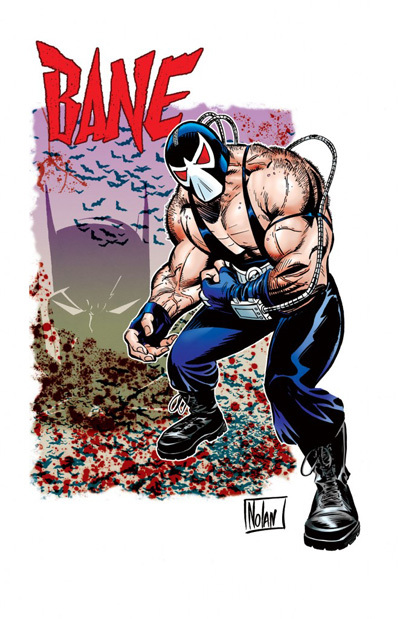 Bane: Conquset #1, written by Chuck Dixon with art and cover by Graham Nolan and colors by Gregory Wright, hits shelves May 3rd.